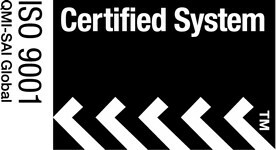 For over twenty years, we’ve built the reputation of Integral Machining on doing what other North American machining companies cannot. We were the first company on the continent to deploy Swiss machining services, and that put us far ahead of the curve in custom-machining extremely small diameter, long length parts. Since then, other shops have come around to realizing how crucial this market is, but they still lack the literal decades of experience we’ve built up. This shows in our ability to produce even highly unusual part sizes with ease, while maintaining utmost precision and quality. For example, take an unusually long\thin product we recently had to produce. A job came in that seemed relatively straightforward: The client needed 14″ long titanium rods with 1/4″ diameters 1â€ from either end, tapering down to 0.100â€ in the middle of the part for a distance of 12â€, resembling a very long, thin barbell. Both the length of the main dowel (12″) and the 1/4â€ on either end had to be absolutely precise to fit into their overall design; and, of course, the shape and rigidity of the rod could not be compromised in any way. However, the extreme length and thinness of the rods would make this nearly impossible using other methods. By supporting the sliding material right at the cutting point we can drastically reduce chatter and material deformation. This is vital when dealing with thin parts, where even a slight bend could destroy their alignment. The moving head is able to work with extreme precision, allowing us to guarantee that the part was machined to the exact specs needed. Swarf easily falls away, without getting caught up in the machinery or sticking to the piece being machined. It’s a one-and-done process. The raw rod goes in, the lathe does its work, and the finished piece comes out. This further reduces chances of damage to the piece from multi-stage processes. With more and more custom machinery requiring odd lengths, or extremely precise tooling, Swiss machining services are an invaluable tool for getting these jobs right the first time. Challenge Us with Your Designs! We plan to stay at the top of the North American machining market for years to come, and that means we have to be constantly learning. We love taking on challenges and discovering new ways to handle them that we can leverage on future jobs. Whether big or small, contact us today for a full consultation on your next machining project!